"You, like me once, go and assume you know this and that! It was pure Bolshevik propaganda that the Romanov's were executed, they had escaped and Lenin didn't want anyone to know especially the white Royaltist army! They all spilt up. Nicholas, Alexandra and Alexei went to live in Germany/ Poland, while the girls went and lived in Italy and eventually became good friends of pope Pius XII. 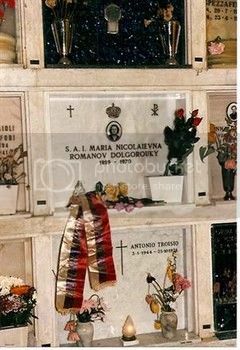 There tombs have even been found in Italy, go through some Harrys links and eventually you will find pics of the links Harry got himself!!! Going onto Alexi, well what didn't he do! Alexei in later life actually had an affair with Prince Michael of Kent's Mother who had a son who is still living today in N Ireland!! Alexi took on the name of Nikolia so search and you will find the info. 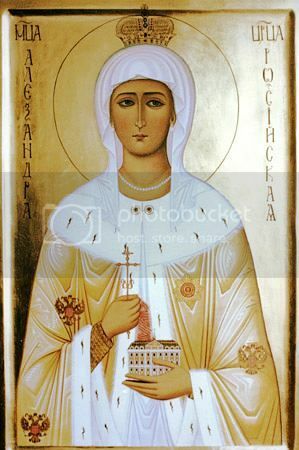 As I said before the Tombs of Alexandra, Anatasia, Tatina, and Olga's were found in Italy however the rest were never found Nicholas's is presumed somewhere in Germany or Poland, Maria we haven't a clue and Alexis is probably somewhere in N Ireland! Tara you should respect the elderly wether they know more or not, Harry is a top professor and works for many Univirsites around the Globe! He has expolored from Italy to the USA to Japan to Russia and knows way more than you!! He has worked with Russian princesses and great scientists have I anymore o say?? Here's a link to the Facebook pages where all these claims are being made: http://www.facebook.com/pages/The-Romanovs/150196918980. Look for posts from Harry Blanton Binkow. "Perhaps you have heard that the story of what happened at the Ipatiev House in 1918 was a big lie! There was no massacre of the Imperial Family. In 1920 a book published in the Western Hemisphere was released to provide explanation of the truth. The most influential was "Rescuing The Czar", by WIlliam P. Smythe. By the 1970's news from England revealed the existence of documents proving the evacuation of the Imperial Family was real. In 1976, two British journalists. Summers & Mangold, working for BBC, published another book, "The File On The Tsar", were new discoveries identified secret negotiation between the Bolsheviks and the German EMpire to liberate the Tsarina and her children. They also revealed the existence of documents from the Sokolov investigation that were not included in his published report of 1924. Those documents are filed in famous universities in The United States, Since 1983, strong rumors about the survival of Alexandra Feodorovna and her children spread through Europe, where two daughters of the Tsar, Olga and Maria lived in secrecy, protected by Queen Helena of Italy and The Vatican. A relevant fact is that next month, September 2012, the largest editorial house in Spain (Planeta) is to release the unpublished memoirs of Grand Duchess Olga Nikolaevna Romanova. The autobiography of Grand Duchess Olga Nikolaevna. It was to have been published in 1956, however The Vatican would not allow it. It is not as silly a book like that of Greg King and Penny Wilson. It is an autobiography of her life after being rescued from Russia. The entire family was rescued from Russia by Kaiser Wilhelm II and The Vatican. Planeta is the largest editorial house in Spain. They would never consider the publication of this book without its insurmountable credibility and evidence. 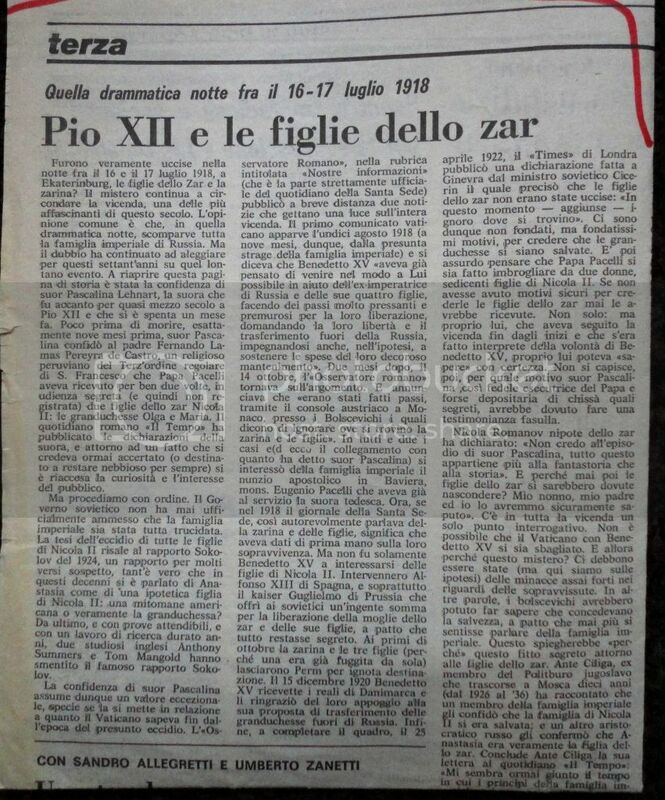 For your information, the archives of Grand Duchess Olga Nikolaevna in Italy, comprise 35,000 documents. 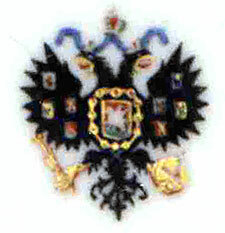 The Orthodox Church, The Vatican, and the Government of Russia, The Romanoff Family Association, Russian Nobility Association, BBC, History Channel, Telemundo, Smithsonian, Royal Russia, as well as many other authors and organizations involved in the true fate of the Romanov's, are aware of this publication which certainly will state its precedent in history. I believe you will be very surprised." NB. I am aware that King and Wilson are users of this forum so if they happen to come across this mention of their book then I do apologise! Whoever you are "talking" to is a Flat Earth believer. Wow, this guy is really out to lunch. These stories crack me up. What will he say next, that he saw Anastasia having lunch with Elvis at a Burger King in Cleveland? LOL! That would be an interesting picture to see. In this book, Monsigny wrote that during this famous night of july 1918, only the tsar has been killed maybe with Alexei,Olga became Magda Boots, she would live in Italy near the lake of Côme where she helped children without parents; she would died in 1978(?). Alexandra and Tatiana died in Auschwitz during the war(can you imagine this?). 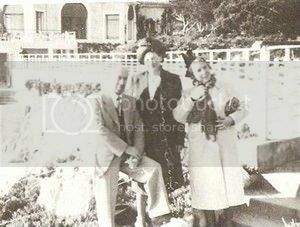 Anastasia would have been Anna Anderson(I believe in this) and so Maria got married, had 2 girls, lived first in Africa, and then lived in Italy with Olga(sister that she loved the most:she called her daughter Olga). She died quietly in 1970.
ample. I also almost believe her. And you? "Anastasia having lunch with Elvis at a Burger King in Cleveland?" Someone should do a photoshop of that! Maybe put Rasputin in at the serving counter. I can just picture that! Agreed someone should do a photoshop of that! Of course it must be the real Anastasia that is used, but put Anna Anderson and Eugenia Smith somewhere in the mix too. Come on talented people out there - surely someone on this board is able to do that! The best photoshopped work from a claimant I've seen is when they posted a DNA profile which contained 'Nicholas and Alexandra's profiles', to prove that they were a Romanov child. Stuff like that goes beyond delusion, to be honest. That is crazy! Which claimant was that? This was on a Facebook profile. I think it's been taken down now due to complaints. The entire profile was disturbing to say the least. If I do happen to find the photo I will post it here. No doubt that is why it was taken down. Any idea of who is this woman? She doesn't look like Marga Boodts or Concetta Fedele to me, but I could be wrong.